"I don't know what truth is. Truth is something unattainable. We can't think we're creating truth with a camera. But what we can do, is reveal something to viewers that allows them to discover their own truth." Some viewers may assume that "reality TV" — from MTV’s The Real World to Fox’s Cops to more recent entries such as Survivor — arrived sui generis on the world’s TV screens. But this increasingly popular syndrome has a predecessor with a rather powerful pedigree: cinéma vérité. This movement — itself derived from earlier works such as Robert Flaherty’s ethnographies and the "machine art" of Dziga Vertov, both dating from the 1920s — became a widespread, identifiable movement with the postwar convergence of television, a nascent radical culture, and portable cameras with synch sound. The movement appeared under different names according to locale: in France it was "cinéma vérité," in England "free cinema," and in the U.S. "direct cinema." The goal was roughly the same in each case: to celebrate the ordinary and capture the moment with a kind of freshness and spontaneity previously unseen on movie and television screens. A woman wakes on a park bench in Dziga Vertov's Man With a Camera. Made in Canada under the aegis of its National Film Board and tapping that country’s rich documentary tradition, Defining the Moment opens and closes with a comic image: a scene from one of those black-and-white industrial instruction films from the 1950s. This one is a deathly dry explanation by two middle-aged dorks on how to use a ladder: "Any ladder that has two or more sections is an extension ladder," one of them explains. What follows is the story, told in many voices, of how in the 1950s the documentary form broke free of such narrow subjects and cramped styles (prepared script, unnatural lighting, immobile camera, etc.) thanks to a group of rebels who changed the way viewers would perceive reality from that point on. This revolution required new technologies that would make the camera mobile and permit synch sound, strategies that would bring a new sense of realism to subjects that could now be caught in flagrante, so to speak. Inventions sprang up in every corner, from Jean-Piere Beauviala’s "crystal synchronizations" that freed the camera from the tape recorder, to Jean Rouch’s mounting a camera on a car (his own Citroen) to follow a subject, a technique rarely seen in the documentary context. In the late 1950s, a Life magazine journalist, Bob Drew, convinced the magazine’s parent company to gamble on putting its renowned photo-essay format into motion; the mobile equipment — camera on shoulder, live sound — that emerged from this experiment became a staple for television news from the late 1950s on. Many of the technical innovations of vérité came from the French. 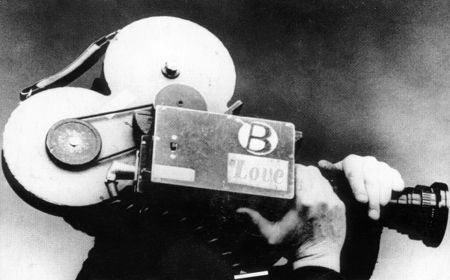 Cinematographer Michel Brault, for example, developed what became known as "wide angle" cinema, a "long focus" technique for live-sound interviews, and a technique for walking the hand-held camera. Brault was responsible for the 1958 documentary classic Les Racquetteurs, among others. In one of the film’s liveliest interviews, Richard Leacock, who made an important early contribution to the movement with the 1954 Jazz Dance New York, reminisces about the sheer joy of working with new forms and technologies. He offers three lessons for those who want to make their mark in this realm: "Start young" (he was 14 when he made his first film, snippets of which are included here); "Look and look and look! "; and "Shoot and shoot and shoot!" In his eighties, he remains a passionate advocate of vérité, neatly summarizing its appeal to those who created it: "It was freedom! Screw the tripod! Screw the dolly!" Karl Reisz, who found fame in features later, was another pioneer in a different part of the world. He too made a "jazz dance film," nicely quoted here, the 1955 direct-cinema classic Mama Don’t Allow. This brief, heady work resembles the classic ethnographies of the past but updated, focusing on an urban setting: a British dance club sizzling with wild jazz dancing. Reisz’s camera captures the drama of this specific event, but the film also presages a new mentality and a new freedom that won’t be restrained. Paul Anka in Lonely Boy. Not unexpectedly, as vérité evolved, it became more complex. An early goal of the movement was to keep the filmmaker’s presence out of the frame, the idea being that the intrusions of the director would detract from the reality of the subject. But Canadian talents such as Roman Kroitor, who with his partner Wolf Koenig, made some of Canada’s NFB’s most dynamic films, took the opposite tack by integrating the filmmakers into the work in the theory that the process itself was part of the reality of the work. An example of this, quoted at length in the film, is the Paul Anka biography Lonely Boy (1962), in which Anka, caught in both concert footage and the quiet moments before and after performing, interacts with the filmmakers. In this case "exposure" became literal, as the camera unobtrusively records Anka stripping down to his underwear while talking to the filmmakers and his entourage. Social consciousness was always a crucial component of vérité, reaching its heights in the work of Frederick Wiseman (Titicut Follies, 1967), Albert and David Maysles (Salesman, 1968), and Allan King (Warrendale, 1967). 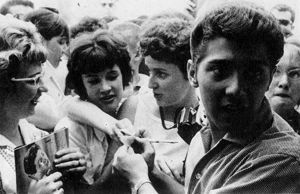 Typical of the trouble often faced by vérité works in cultures that were queasy about too much reality, two of the three films just mentioned were banned: Titticut Follies by the state of Massachusetts, which refused to acknowledge the terrors of its treatment of the incarcerated mentally ill; and Warrendale, set in a school for disturbed children, by the Canadian government for much the same reasons. Too, as the work of Oscar-winning director Barbara Kopple shows, vérité filmmaking can be literally life-threatening. Kopple explains how she witnessed a brutal murder in her classic Harlan County U.S.A and could have been killed herself for exposing corruption during a coal-miner’s strike in Kentucky. D.A. 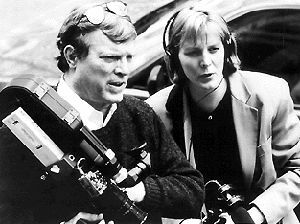 Pennebaker and his wife Chris Hegedus. Some of the films from this movement became notorious as exposés not of institutional immmorality or human rights violations but of personalities of the day. Such was the case with D.A. Pennebaker’s Don’t Look Back (1967), perhaps the definitive early portrait of a contentious, arrogant, but always intriguing Bob Dylan. As with many of the important works discussed in the film, this one is excerpted at length. 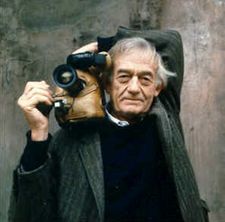 While Albert Maysles extolled "the drama of ordinary people in daily life" as vérité ’s major subject — and the evidence in Defining the Moment tends to support this — there were other famous people besides Dylan who were given the vérité treatment, as in Bob Drew’s Primary, a chronicle of JFK’s 1960 presidential campaign. This widely-seen film helped establish both the legend of the man and the warts-and-all approach that would become a staple of future news portrayals of the famous and the infamous. Defining the Moment is a lively history of a genre that deserves wider exposure and is in fact getting it thanks to cable TV’s Independent Film Network and the Sundance Channel, the latter being a particularly welcoming venue for works by Maysles, Wiseman, Pennebaker, et al. On the down side, there are a few omissions here that are surprising. Perhaps it’s because the film was backed by Canada’s NFB that much of the focus is on the (admittedly substantial) Canadian achievement. But it would have benefited from at least mentioning the seminal agitprop work of Emile de Antonio in the U.S.; the groundbreaking PBS series about the Louds, An American Family (1973); and Morris Engel’s technical innovations for Little Fugitive (1954) that helped him pioneer a new mix of documentary and drama. Still, the film is more comprehensive than seems possible in its 102-minute running time. And while some viewers may carp with its inclusion of television news shows alongside classics such as Rouch’s Chronicle of a Summer (1961) or Maysles’s Salesman, there’s much to cheer in this consistently engaging, often brilliant summary of one of the great artistic movements of the century. For more information about Cinema Verite: Defining the Moment visit the National Film Board of Canada's Web site: http://www.nfb.ca/cinemaverite.